The people of the Eternal Immortal Domains had only recently watched the Saint-Emperor’s bloodline sealing strip shatter. But now, Bai Xiaochun had repaired the Arch-Ancestor’s bloodline sealing strip. As of this moment, one sealing strip held strong, while the other two had been destroyed! The forehead represented divine sense, and the dantian region represented the cultivation base. From that it could be seen that, years ago when the Eternal Sons had lived, the Arch-Ancestor was the strongest. That was why his bloodline sealing strip covered the most important areas! Only recently, the Mortal Renegade had been struggling to open his eyes and awaken, to the point where his entire body trembled. But now that Bai Xiaochun had repaired the bloodline sealing strip, struggle was not possible. The Mortal Renegade went still. At the same time, the bloodline sealing strip teleported Bai Xiaochun back out into the open, where he appeared in the sky, just outside the body of the enormous sovereign. Instantly, cheers rose up from the countless cultivators who lived in the Eternal Immortal Domains! Cheering could be heard in the Vile-Emperor Dynasty, the Saint-Emperor Dynasty, and of course the Arch-Emperor Dynasty. Although Bai Xiaochun had not spent a huge amount of time inside the sovereign’s body, it was still a period in which all cultivators in the Eternal Immortal Domains knew that their collective lives were on the line. If the legendary Enemy from Beyond woke up, everyone knew exactly what would happen as a result. At the moment, the Saint-Emperor was breathing a huge sigh of relief, and looking at Bai Xiaochun with very mixed feelings. If it weren’t for the Enemy from Beyond, he might have tried to take advantage of Bai Xiaochun’s weakened state to take ultimate control of the Eternal Immortal Domains. But now he could only chuckle bitterly and dismiss such thoughts. Taking a deep breath, he shot toward Bai Xiaochun. As Bai Xiaochun hovered there in the air, he could hear the cheering below, and could sense how grateful everyone was. However, he didn’t take advantage of the situation to bask in his glory. He was simply feeling too much pressure for that kind of thing. After what he had experienced in the process of repairing the sealing strip, he had come to a much clearer understanding of how incredibly powerful the Mortal Renegade was. The three Eternal Sons had been incapable of killing him, and in the end had sacrificed themselves simply to seal him. Even the Worldly Daoist could do little more than hate him. Thus, as Bai Xiaochun looked up at the enormous sovereign looming above, his heart was filled with unease. Everything seemed different now. For one thing, the Mortal Renegade was now covered in countless cracks and crevices, which were the result of his struggle. Those cracks and crevices didn’t exist on his body, but rather, on the extensive dust and stone that had built up on him over the years. Because the Saint-Emperor possessed the complete legacy of his bloodline, he was able to calculate the number accurately. In all of the Eternal Immortal Domains, he was the only person who knew the truth. His words caused Bai Xiaochun’s heart to begin to pound even more. He knew that the Saint-Emperor wouldn’t lie at a moment like this. They were now faced with a countdown, which would end with the Mortal Renegade waking up. Once he began to struggle, he would destroy the sealing strip, and open his eyes. His voice filled with bitterness, the Saint-Emperor continued, “If we can become sovereigns in half of a sixty-year-cycle, then maybe we have a chance…. But if we can’t, then our fate… is easy to imagine. “And there’s nowhere for us to escape to. I'm guessing that the reason you became an archaean has nothing to do with the approval of the Eternal Mother. You must have come across some good fortune in the outside world, perhaps from that treasured fan. You've seen the void out there, haven’t you…?” He sighed. Bai Xiaochun said nothing for a moment. Then, just as he was about to reply, and even as everyone in the Eternal Immortal Domains was sighing in relief… something strange happened!! A string of muffled booms could be heard as the shoulders of the sealed and unmoving Mortal Renegade began to crack and crumble, apparently due to the lack of the other two bloodline sealing strips! As the rubble fell downward, it became a cloud of meteorites, hurtling toward the surface of the Eternal Immortal Domains. The smallest among them were the size of a person, while the largest were as big as mountains. All of them glowed with shocking black light that made them seem capable of piercing anything! Upon seeing them, the faces of both Bai Xiaochun and the Saint-Emperor fell, and even as they prepared to go block the paths of the meteorites, the meteorites accelerated! Rumbling sounds could be heard as the meteorites smashed into the ground, causing blinding light to shine everywhere, seemingly preparing to bind the entire world! In the blink of an eye, more than a hundred such world-binding meteorites landed within the territory of the three imperial dynasties! If that were all there were to it, it might not be a big deal. However, as the black light spread out, it began to absorb the life force from everything within its bounds! It was very similar to what had happened years ago in the Saint-Emperor Dynasty!! Given the speed with which the black light spread, it wouldn’t take very long before it covered all of the Eternal Immortal Domains. And of course, all of the life force being absorbed would be sent into the body of the Mortal Renegade, giving him more strength to struggle against the sealing strip! “We have to do something, now! !” Nearly in a panic, the Saint-Emperor immediately began transmitting orders to his subordinates. Bai Xiaochun did the same. In response, the celestials and demigods from both the Arch-Emperor Dynasty and the Saint-Emperor Dynasty began to rush in the direction of the world-binding light. Because the Vile-Emperor had perished, it was Prince Ur-Demon and the other celestials who took the lead in the Vile-Emperor Dynasty. They didn’t need any orders from Bai Xiaochun to mobilize the demigods and take action. Bai Xiaochun even went so far as to summon his two archaean slaves from the treasured fan, and sent them into the fray. All of the powers within the three great imperial dynasties were working together, joined by the two archaean slaves. As for Bai Xiaochun and the Saint-Emperor, they found the most powerful areas of binding, and focused their efforts there. The Saint-Emperor was shocked to see Bai Xiaochun’s two archaean slaves, but at the same time, it suddenly bolstered his confidence in the Eternal Immortal Domains’ chances of surviving. He focused on a certain sprawling mountain peak that was under attack, whereas Bai Xiaochun headed toward the largest of the meteorites, which had fallen like an enormous island in the middle of the Eternal Sea. Bai Xiaochun was both anxious and exhausted. He had only just returned to the Eternal Immortal Domains, only to be forced to rescue the Giant Ghost King, fight the imposter Vile-Emperor, and then learn about the bloodline sealing strip on the Mortal Renegade being broken. After going through untold hardships to repair the sealing strip connected to his bloodline, the entire world came under threat. He was exhausted both physically and mentally, but had no choice but to pull himself together and fly out over the Eternal Sea. He didn’t hesitate at all to use his Undying Hex to pick up speed. Piercing into the black area which had already been bound, he found himself in a node world. Shocked, he looked around at an area with no seawater, and only black land…. Off in the distance was a volcano, which had obviously been formed by the meteorite. The black smoke which belched out from that volcano was the very same darkness that was binding up the world. After sending out some divine sense, it was to his shock that he saw countless devilish specters lurking about. At the moment, it was impossible to say whether they were responsible for the spreading smoke, or whether the smoke was simply carrying them with it. As soon as the devilish specters saw Bai Xiaochun, they howled and began to charge toward him. These devilish specters were different from the shadowy specters in the body of the sovereign. It took only a moment for Bai Xiaochun to realize that they were actually… vengeful souls! 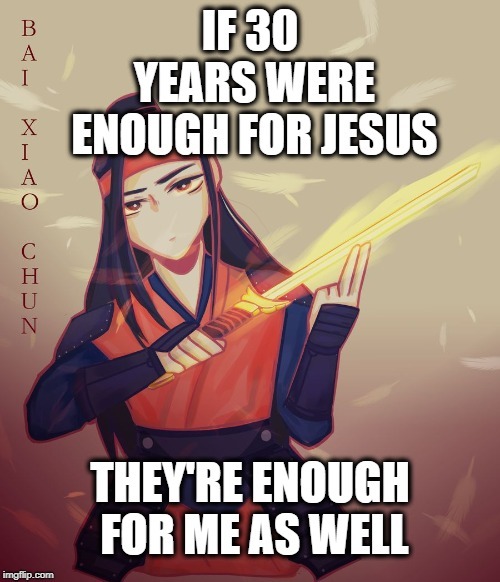 Bai Xiaochun had plenty of ways of dealing with souls. Breathing a sigh of relief, he waved his hand to produce a large quantity of Soul Convergence Pills, which he then tossed out in front of him! “If I had known that the Mortal Renegade had all these souls, then I wouldn’t have gone out into the void!” Flicking his sleeve, he proceeded onward into the desolate area ahead!